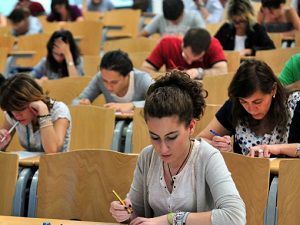 The HSK, China’s Hànyǔ Shuǐpíng Kǎoshì, is a standardized international Chinese proficiency test for non-native speakers that assesses their abilities in using Chinese language in their studies, work and personal life. We helped students successfully passed HSK test since 2008, if you want to go to a Chinese university or improve your career, prepare for and take HSK preparation course at Mandarin Zone School. There are two kinds of test. One is Paper-based Test, the other one is Internet-based Test. HSK consists of a writing test and a speaking test, which are independent of each other. The Written test is comprised of Level 1, Level 2, Level 3, Level 4, Level 5 and Level 6. The Speaking test is comprised of the HSK (Elementary), HSK (Intermediate), and HSK (advanced). During the speaking test, test takers’ speeches will be recorded. Level 1, Vocabulary: 150; CEF A1 – You can understand and use some simple Chinese characters and sentences to communicate, and prepares them for continuing their Chinese studies. Level 2, Vocabulary: 300; CEF A2 – You have an excellent grasp of basic Chinese and can communicate in a simple and direct manner, applying it in a basic fashion to their daily lives. Level 3, Vocabulary: 600; CEF B1 – You can use Chinese to serve the demands of their personal lives, studies and work, and are capable of completing most of the communicative tasks they experience during their Chinese tour. Level 4, Vocabulary: 1200; CEF B2 – You can discuss a relatively wide range of topics in Chinese and are capable of communicating with Chinese speakers at a high standard. Level5, Vocabulary: 2,500; CEF C1 – You can read Chinese newspapers and magazines, watch Chinese films and are capable of writing and delivering a lengthy speech in Chinese. Level 6, Vocabulary: over 5,000; CEF C2 – You can easily understand any information communicated in Chinese and are capable of smoothly expressing themselves in written or oral form. 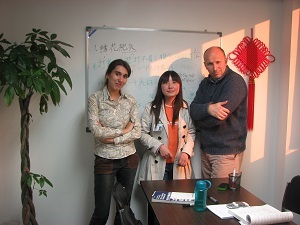 Why many students choose to prepare for HSK test at Mandarin Zone? Since 2008 we prepared hundreds of students, with different language levels, to achieve their goal of getting the HSK certificate. Our professional and qualified teachers accompanied the students through a study plan designed on theirs needs and with a pre-evaluation we were always able to define the right plan and achieve the goals settled by the students. That’s why our students HSK Test success rate is 100% and most of them join our school through word of mouth. Our students are the one who let us be successful, and in these last few years we saw a big increase on the number of students who join our school to prepare their HSK Test. Check HSK Test Schedule in 2017!